What do Obama, Guy Fawkes and Credo have in common? 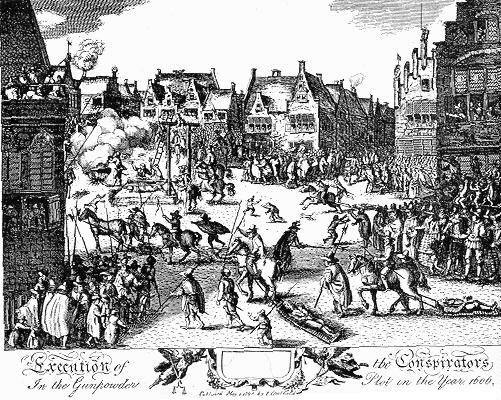 On the day America elected a new man to lead their country, the English are preparing to burn effigies of a man who plotted to exterminate their king and Parliament a little over 400 years ago. Two men who share one thing in common, their demand for wholesale changes in the governance of their countries. Fortunately it looks likely that Obama will use far more sensible and peaceful methods to bring about this long-awaited change! So how does this relate to Credo / The Devil’s Curse? Well Guy Fawkes was publicly executed in 1606 and Credo was shot in 2006 exactly 400 years later! And what’s more, it was shot just yards from the infamous Tyburn, the feared and loathed place of public execution from 1196 to 1783. The Tyburn tree was a tree on the banks of the river Tyburn, a river that is still there, but now runs underground. The site is now Marble Arch at the western end of London’s most famous shopping thoroughfare, Oxford Street. 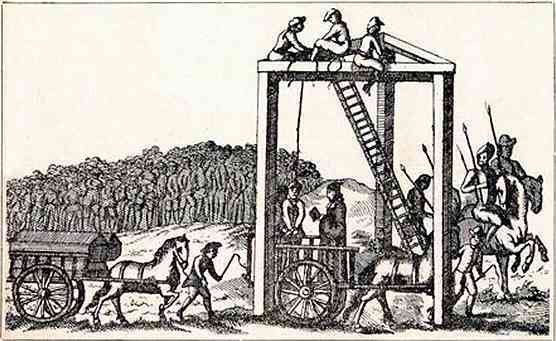 In the last 200 years of hangings there, prisoners were carted across London from Newgate prison to Tyburn every Monday. The pub where Toni and I hatched our own plot (Credo’s of course), boasted that it was the last stopping point for the condemned prisoners where they would be chained to the wall in the cellar and given their last jar of ale. Supposedly that’s where the phrase on the wagon came from as once the prisoner had downed his draught, he was then put on the wagon to Tyburn where he would be executed and therefore would never have another drink again! So, back to Credo. During the last few years of executions at Tyburn, the buildings where we shot Credo were being erected. 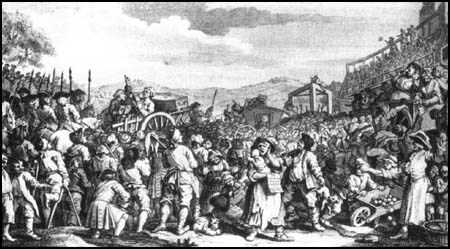 It is estimated that up to 60,000 people were hanged at Tyburn, so you can imagine there being a lot of unhappy souls still wandering in the vicinity. And from what we saw and heard in our locations, it would seem we encountered some of them. 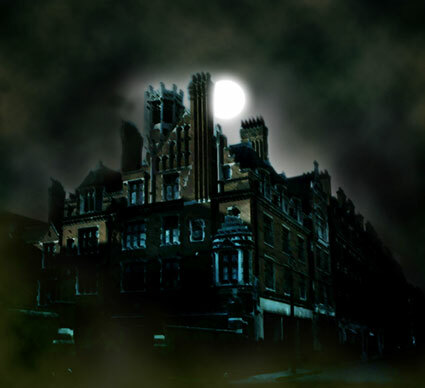 I’ve been asked to keep details of the actual locations secret as these buildings are currently being converted into luxury apartments and stories of paranormal occurrences might put buyers off! All I can say is that one of them is a vast townhouse built in the last part of the Eighteenth Century and it’s last occupiers were a foreign High Commission. The other location was a fire station built in the Victorian era and looks like a set built for a Hammer House of Horror movie! Cast and crew witnessed frightening events at both locations, but it is at a third location that Toni and I had the most terrifying experiences of all. And that’s the reason why we made the decision not to shoot there! But that is the place I’m going to tell you about first. Come back tomorrow and I’ll give you the low down on the place that used to be a Masonic Lodge until its members abandoned it several years ago. This entry was posted on November 5, 2008 by Alex Wakeford. It was filed under Credo aka The Devil's Curse, general, haunted locations, horror and was tagged with Credo, executions, Guy Fawkes, haunted houses, horror, horror movies, Obama, parnormal, The Devil's Curse, Tyburn.